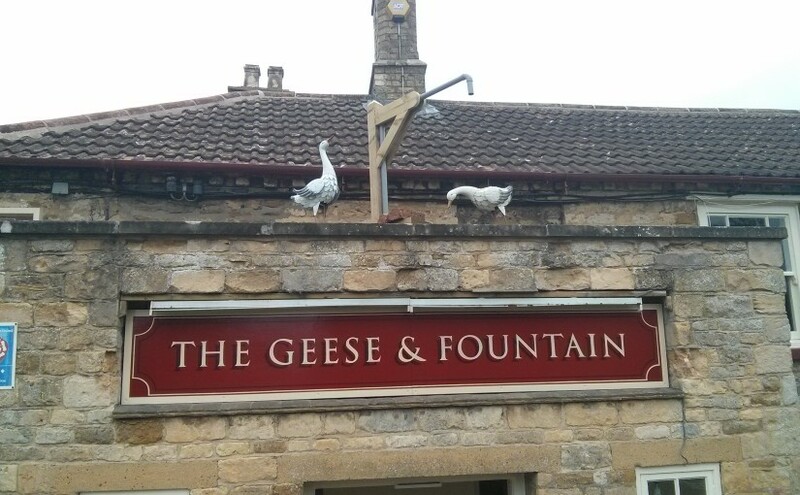 The Geese and Fountain is a traditional village pub in Croxton Kerrial, Leicestershire, between Grantham and Melton Mowbray. This recently re-opened village inn has two wood fires, and a quiet and welcoming atmosphere. There is no juke box or fruit machine, but occasional folk nights supplement the hum of conversation. Dogs, children, cyclists and walkers are all very welcome. There are no permanent beers, but at least one beer from six local breweries always feature (Oldershaws, Belvoir, Brewsters, Oakham Ales, Grainstore and Nobby’s), together with a number of guest beers from other local microbreweries. In addition to five handpulls of local real ale, the Geese and Fountain offers locally brewed lagers (currently Brewsters Helles and Nobby’s Pilsner) in addition to Freedom Four, three kegs of local craft beer (currently Oakham Ales Astaroth, Green Devil and The Kraken’s Ink) and three real ciders (currently Nottingham Blue Barrel and Hallaton Bottle Kicking Scrummage and Scrambler).